Seth Rollins becomes a new personality altogether in the lead-up to the WrestleMania season. Last year, injuries to Jason Jordan and Dean Ambrose meant Rollins had to venture out on his own, and he brought his A-game throughout the WrestleMania season. He defeated Roman Reigns and John Cena clean in one night! And Rollins delivered showstopping performances each week, making a solid claim to becoming the top guy on the roster. However, WWE's decision to continue with Reigns resulted in him taking the backseat. Reigns' absence this time around opens new possibilities for The Kingslayer. He has already main-evented WrestleMania (sort of) back in 2015. With Reigns out and no other top babyface in sight, Seth Rollins could well make WWE his yard in 2019. We list five reasons why The Architect should design the main event platform for WWE at WrestleMania! As mentioned earlier, Seth Rollins technically featured in the main event of WrestleMania 31. He cashed in his Money in the Bank briefcase during the match-up between Roman Reigns and Brock Lesnar, winning the WWE Championship in the process. Seth Rollins was pinned to become a mega star after this cash-in, which was dubbed The Heist of the Century. Rollins held the title for around six months before his knee buckled out and kept The Man out of action for almost a year. 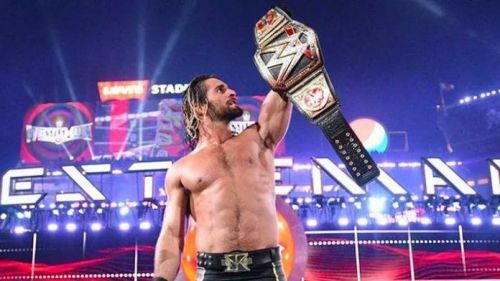 Seth Rollins was in a prime position to main-event WrestleMania 32 against possibly his Shield brothers, but the untimely injury resulted in him missing out from the card altogether. WrestleMania 33 saw him defeat Triple H, while he won the Intercontinental Championship at the Grandest Stage of Them All in 2018. Seth Rollins has great experience with main-eventing PPVs, and should be at ease if he is chosen to main-event WrestleMania 35.